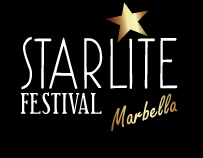 The second edition of STARLITE FESTIVAL this most exclusive social event will be held between July 23 and August 24 in Marbella. This festival will be attended by leading international artists such as Jamie Cullum, Noa, Paco de Lucía, Alejandro Sanz, Julio Iglesias and the Orquesta Buena Vista Social Club featuring Omara Portuondo & Eliades Ochoa. More information here.